Use Filtertechnik New Particle Pal Life , we bring our portable equipment to production or job area. 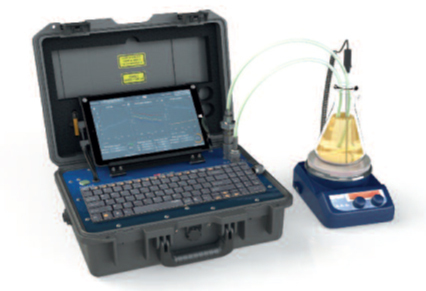 Oil Life Indication – Over 500 oils profiled with the ability to self calibrate. Gives early warning of oil coming to the end of it’s life and also helps inform if an oil change is actually required. Particulate Analysis – 4, 6, 14 & 21 micron counts displayed as ISO, NAS & SAE classes. Software also displays the actual particle counts per ml. Water Content – Displayed as % saturation ( Relative Humidity ).